LOGAN — Around 30 people braved colder temperatures and cloudy skies Friday morning, running down Main St. to show their support for people with disabilities. Law enforcement joined the participants running from the North Logan Walmart to the south Logan Walmart for the Special Olympics Torch Run. Cache County Sheriff’s Sgt. Reed Tanner helped organize this year’s run. He explained that the annual event was one of 13 charity runs held throughout the state in preparation for the Special Olympics Summer Games. In addition to the athletes, runners were joined by members of the community including Logan Mayor Craig Petersen, Police Chief Gary Jensen and Sheriff Chad Jensen. Tanner said it is pretty awesome to see the excitement the Special Olympians have had over the years, running with members of law enforcement. 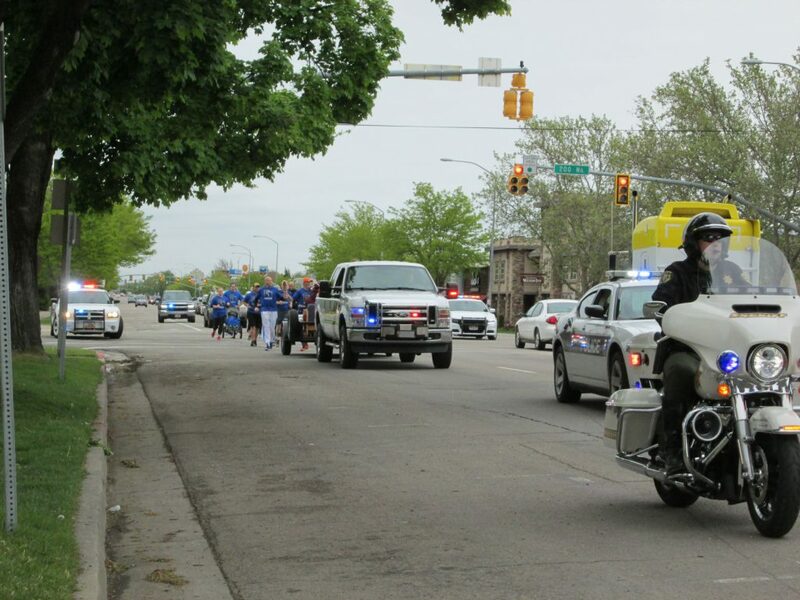 The Torch Run, “Flame of Hope” started in 1981 by police in Wichita, Kansas and has spread through the country. There will be four more runs planned during the rest of the month before the final race on June 2, beginning the Opening Ceremonies of the Utah Special Olympics Summer Games.